Home » What’s the Most Powerful Cordless Impact Wrench? Cordless/battery-powered impact wrenches have come a long way since their early beginnings. No longer can they be considered puny and inferior to pneumatic impacts. The companies like Milwaukee, Dewalt, and Ingersoll Rand have developed new battery technologies, as well as new lines of the brushless motor that boost the performance of existing tools while making it possible to introduce larger more powerful tools than was thought to be possible. In this article, we review 3 most powerful cordless impact wrenches on the market. When it comes to an impact wrench the name of the game is power and the Milwaukee 2763-22 M18 FUEL Cordless Impact Wrench is a monster. We used this impact wrench to remove over tightened and even rusted on wheel lug nuts and other nuts and bolts on vehicles. We’ve tried the strongest models from the other brands and they were very weak in comparison to this Milwaukee tool. This is the absolute strongest and fastest nut/bolt remover and fastener ever created. We guarantee you will love it and never want to use anymore an air compressor to power your tools. Let’s see the following video to understand why this is the most powerful cordless impact wrench you’ve probably never seen before. 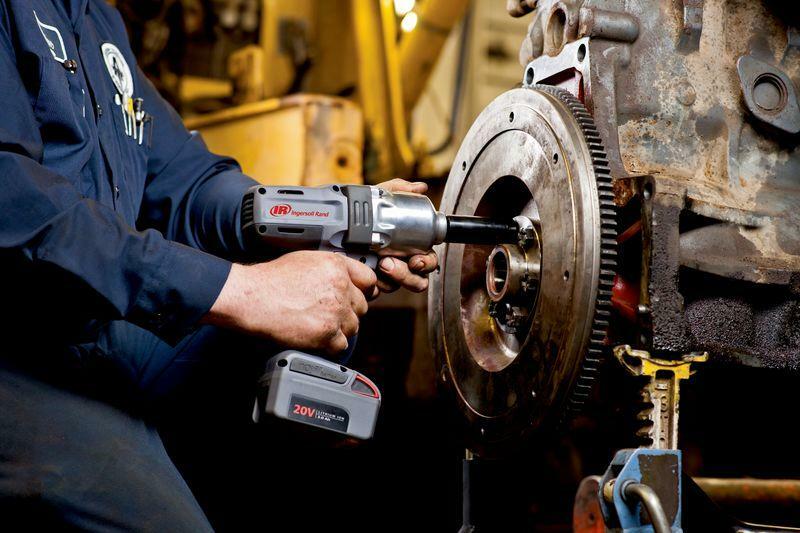 This cordless impact wrench has awesome torque – delivering up to 700 ft.-lbs. of maximum fastening torque, 1100 ft.-lbs. of nut-busting torque. The first thing we did with it was pulling the lug nuts off of a car dolly that had been on for at least 15 years, very rusty, and it pulled them off like they had been greased. Its power is incredible so you have to be careful not to over tighten. It has a proprietary 2-Mode Drive Control which is very controllable but 100 ft-lbs happens very quickly when tightening. It is the perfect choice for tear downs but if using for low torque assembly work it is probably too much power. The feature that makes Milwaukee 2763-22 M18 FUEL the most powerful cordless impact wrench on the market is its POWERSTATE Brushless Motor. Instead of wearable brushes, Milwaukee engineered more steel and copper into their motor. This results in longer motor life as a result of reduced friction, less heat buildup, and higher efficiency. The company says Powerstate is able to generate about 25 percent more torque than the average 18V cordless impact wrench. Another great feature of this impact is the RedLink Plus Intelligence System. What is the RedLink Plus Intelligence System? This is an onboard electronic system exclusive to Milwaukee – built into each cordless power tool to optimize performance and decrease overheating of motor and batteries. One of the biggest enemies to a motor is heat. As a motor’s RPM decreases under heavy load, heat builds up from lack of heat dispersion by the fan. This “quadratic equation” of heat build-up will eventually melt the windings and wiring, scorch the commutator and eventually cause the motor to fail. With RedLink Plus Intelligence, users no longer have to worry about that. The best cordless impact wrench comes with the best battery. The Milwaukee 2763-22 is powered by one M18 Redlithium XC 5.0Ah battery. This is one of the best lithium-ion batteries for cordless power tools in the industry. It delivers up to 2.5 times more run time, 20% more power and 2 times more life than standard 18V lithium-ion batteries. 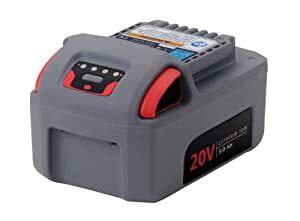 This battery works great with all M18 Milwaukee tools such as cordless drills, impact drivers, angle drills, portable vacuum. It lasts very long and can be used in any dirty environment. Believe it or not, this battery and the tool were even dropped in a tub of gear oil and it still works! 2 batteries would be included if you buy this Milwaukee cordless impact wrench from Amazon. So you can use one while charging the other. Milwaukee is a familiar brand name, and the company has a long history of producing some of the best power tools on the market. The Milwaukee 2763-22 M18 FUEL has the most powerful, long-lasting battery of all the cordless impact wrenches on the market. If you’re making money from your tools, we’d highly recommend this one. If you’re looking for a super strong impact wrench but you’re a Dewalt guy, then look no further than the DEWALT DCF899 Cordless Impact Wrench. We used it on a car and this machine is a beast powerful to remove anything. We think the Milwaukee is more powerful but if you have this Dewalt tool then you would stay with it. And did you know that Dewalt is trying to produce all of their products in the USA? So far, DeWalt has 7 US manufacturing facilities that ship over 90 million Made In The USA products every year. Compact design of 8-13/16 in. length and weighs only 7.2 lb. The DEWALT DCF899 is engineered with a DEWALT XR brushless motor that delivers up to 57% more run time than a conventional brushed motor. While mechanical carbon brush motors generate friction and heat buildup resulting in lost energy & less runtime, Dewalt’s brushless motors run cooler and more efficiently enabling longer runtime between charges. They’re widely used in most of Dewalt’s cordless power tools such as cordless air compressors, cordless drills or cordless nailers. This impact delivers up to 700 ft. lbs. of maximum torque and 1200 ft. lbs. of max breakaway torque. It is very powerful, the motor and control seem really smooth. The rusted bolt is always tough to take off, but this impact wrench can remove it with ease. It’s a lot of power for just removing wheel nuts but if you work on a lot of rusted cars and trucks, this is what you would want. We love its multi-speed control (0-400/1,200/1,900 RPM). This feature allows users to use this monster for light and medium duty applications. And even though this tool is ergonomic and lightweight, it can handle a 6-8ft drop and the anvil is resistant to shearing and breaking! This cordless impact wrench is powered by one Dewalt DCB205 5.0Ah lithium-ion battery that provides up to 60% more capacity than standard 20V MAX battery pack (DCB200). It is compatible with the complete line of DEWALT 20-Volt MAX tools and can be charged by all 20V Dewalt chargers. This battery is really great for the “big jobs”. It’s one of the factors that makes the DEWALT DCF899 one of the most powerful cordless impact wrenches in its class. We charged it up during lunchtime and then it worked the rest of the day. We really like the way it maintains full power right up to the end of the charge. It doesn’t slowly lose power the way the NiCad batteries do. Why should I go with Dewalt cordless impact wrench? If you buy Dewalt’s, you’ll get a tool that performs well, has a decent warranty, will last many years, and of course, at a reasonable price. 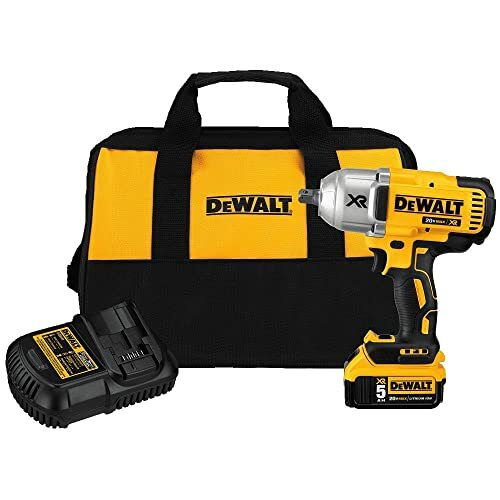 We also love Dewalt because if you have a Dewalt impact wrench, you can use the same batteries and chargers on your circular saw and drill, etc. Just 5 years ago, when we got the Ingersoll Rand W7150 with 780 ft-lbs, Milwaukee had a ½” impact wrench that was only 400 ft-lbs. At that time, W7150 was the most powerful cordless impact wrench on the market. It was one of the most sought-after models in the mechanic shops. Now, most people prefer the brushless motor of the Milwaukee and DEWALT but we do believe the W7150 might still have the edge vs them. Delivers 780 ft.-lbs. of maximum reverse torque and 1100 ft.-lbs. 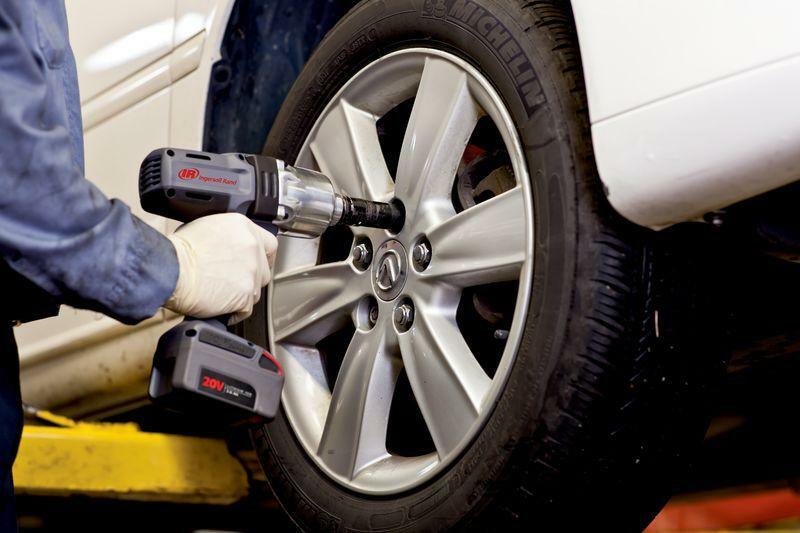 of nut-busting torque — from a cordless impact wrench that weighs only 6.8 lbs. 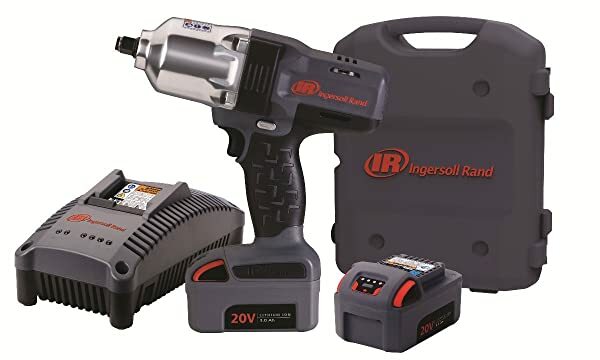 The Ingersoll Rand W7150-K2 is a workhorse power tool designed for use by professionals on the job site as well as everyday use around the home or on projects. With up to 1,100 foot-pounds of nut-busting torque and 780 foot-pounds of maximum torque, it punishes tough bolts and powers through heavy-duty applications such as suspension work and heavy equipment repair. We used it to remove some rusted bolts on a 1992 Lincoln Town Car and it loosened these bolts with ease. However, the Milwaukee 2763-22 did that easier and quicker. This cordless impact wrench uses a brushed motor. While many people prefer a brushless motor to a brushed motor, we should know that they have their pros and cons. On the pro side, brushed motors are generally inexpensive and reliable. They also offer simple two-wire control and require fairly simple control or no control at all in fixed-speed designs. If the brushes are replaceable, these motors also boast a somewhat extended operational life. And because they need a few external components or no external components at all, brushed motors tend to handle rough environments reliably. For the downside, brush motors require periodic maintenance as brushes must be cleaned and replaced for continued operation, ruling them out for critical medical designs. Also, if high torque is required, brush motors fall a bit flat. As speed increases, brush friction increases and viable torque decreases. And a tool with a brushed motor generates more heat and draws more energy than a tool with a brushless motor. The Ingersoll Rand W7150-K2 is designed to withstand harsh usage. It’s one of the most durable impact wrenches we’ve ever seen. It features a patented steel-reinforced frame and is encased in impact- and chemical-resistant housing to ensure long-lasting performance. It was dropped from 12 feet and it still works. Incredible! Powering this cordless impact wrench is a 20v 3.0Ah lithium-ion battery. This battery delivers a high-charge capacity with low internal impedance for maximum power delivery and run-time. We’re not sure how many lug nuts the tool can remove on one charge but we got about 5 hours of industrial use. And the battery took roughly 1 hour to charge. The charger is large which takes up bench space but also adds stability. It has one of the coolest features we have seen on a charger, a USB charge port. You can charge all your 5V USB devices like tablets and smartphones right from the charger. There is a simple LED system to notify you the status of the charge and also beeps when finished. Ingersoll Rand is one of the most recognized industrial and commercial brands in the world. For over 145 years, Ingersoll Rand has provided a wide range of technologically advanced, highly reliable and low maintenance air compressors and power tools. It knows air and power tools better than anyone. The Ingersoll Rand W7150-K2 is one of the most impressive cordless tools we’ve ever used. If you’ve used it, then you’d never let it go.